If you’re searching things about your next television purchase, then there’s a chance that you’ve come across with the term “WRGB OLED“. What is WRGB OLED exactly and why does it matter? Read on to know more about this term. In the world of televisions, the Korean brand LG is the authority when it comes to OLED. Many have claimed, enthusiast and consumers alike, that OLED is the future of television. However, there are brands that are not convinced and are still pursuing the advancement of LCD or LED. With another Korean brand, Samsung, being the notorious one. Samsung produced the QLED that many believe rivals the OLED. WRGB OLED is the term used that’s referring to the pixel structure of OLED. This means that a WRGB OLED has a fourth white subpixel to the RGB subpixels. According to LG, the colours of a WRGB OLED display are brighter and the colours are more intense. Making the viewing experience becomes more realistic and immersive. Basically, this means that each pixel of a WRGB OLED is a combination of a white OLED with red, green and blue filters. How Does WRGB OLED Affect Picture Quality? It is a fact that with OLED, blacks are really black. This is achieved by turning off the pixel thus resulting in a deep black colour. Because of that, OLED has become too dim or lacks in the brightness department for some. 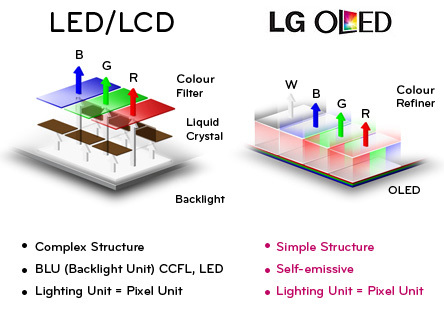 To address this, the manufacturer of OLED, LG, started producing OLED with WRGB pixel structure. 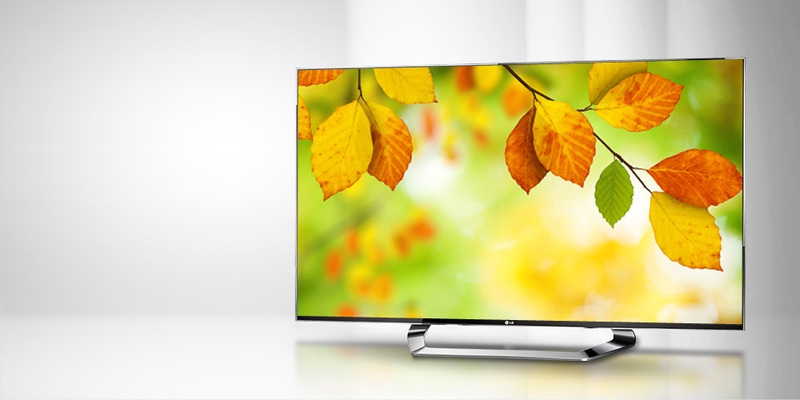 With the LG’s WRGB OLED Technology, 4K OLED TVs now comes with a total of over 33 million sub-pixels. This then results in a display of a billion variety of colours. LG’s WRGB OLED is actually developed by Kodak. This technology adds an unparalleled beauty to the picture quality output. What’s the Latest with OLED 4K TVs 2018? LG Launches their 2nd Generation of OLED TVs for 2018. Namely, B8, C8, E8, W8, and G8. With LG W8 OLED Wallpaper being their 2018 OLED 4K TV Flagship. You can know more about these TVs here. Sony made their second OLED TV called, Sony Bravia AF8 (A8F). Available in 55″ and 65″ screen sizes. Sony will still offer the Sony Bravia A1 as their 2018 OLED 4K Ultra HD TV Flagship at a heavily discounted price.